I am beginning a new custom order for a customer in my Etsy shop, Busy Hands Quilts. It is a Scrappy String Quilt in Thimbleberries Sweet Home fabrics with other coordinating Thimbleberries fabrics added in as necessary. It will measure approximately 78" square when finished and will be the biggest string quilt I have ever made! The blocks in the picture of the table runner / wall hanging above are 6" square, and the blocks in the lap quilt will be 9" square, set in an 8x8 quilt block layout. My customer saw this 27" square quilt in my shop and requested a larger one. Most any quilt in my shop can be made in the size and fabric selection of your choice. 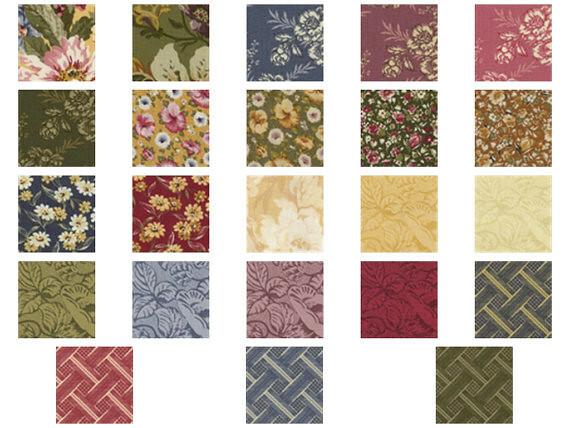 Below are fabric swatches from the Thimbleberries Sweet Home line. This line is from early 2013 and already is quite hard to find. They are waaaay yummier in person, if that is possible! Today's progress is the fabric arriving in my mail box! I plan to press it all tonight. I will be using foundation paper from Missouri Star Quilt Co. rather than a fabric foundation. I find that fabric foundations create a rather stiff quilt, which is fine for a wall hanging or a table runner, but a lap quilt should be soft and drapey, so I am using tear-away papers. The papers come precut at 10", and I will use that size so I have 1/2" extra to square them up. 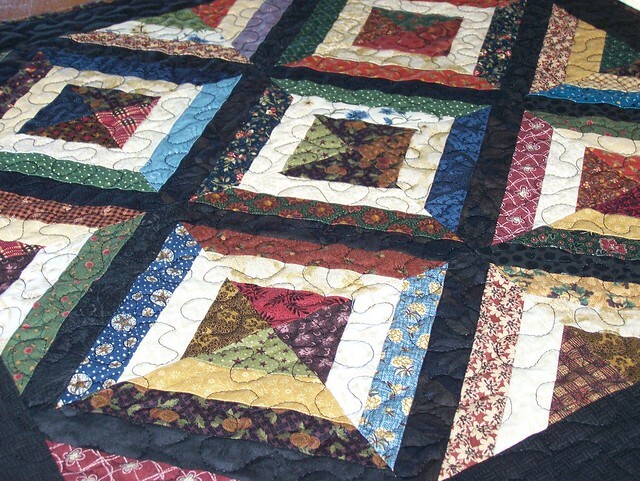 You can get your own custom quilt in many patterns, any size with your choice of fabrics at Busy Hands Quilts on Etsy!